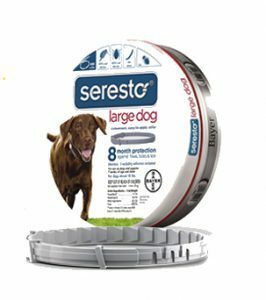 The Seresto Flea Control Collar is a very effective new product at Lochte Feed and General Store for controlling fleas on your dog or cat. 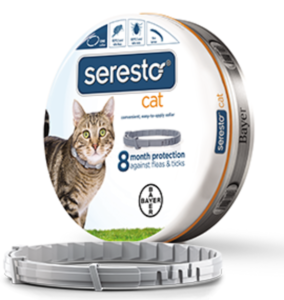 The Seresto Flea Control Collar lasts for up to 8 months with its innovative sustained release delivery system. Come by our location in Fredericksburg, TX today to keep your dog or cat protected this season and for all your pet feed, toys and supplies. Bring your pets by the store! We love seeing our customers! This entry was posted on Wednesday, May 10th, 2017 at 3:41 pm	and is filed under News & Updates. You can follow any responses to this entry through the RSS 2.0 feed. Both comments and pings are currently closed.